Mods are what SE4 was designed for... This section will have information about mods, links to major ones, and USy approved downloads. Invasion! - A battle between space empires, and monsters. This mod tweaks the interface adding a binary grey backing to all the buttons, and highlights to the main menu and orders, as well as grey sections to the main frames in the game. Small download, graphics only - no affect on game play, although it installs to its own mod folder. Backyard Toy Empires is an attempt to redesign SE4 moving it from futuristic space to common place backyards and toy-like wars. 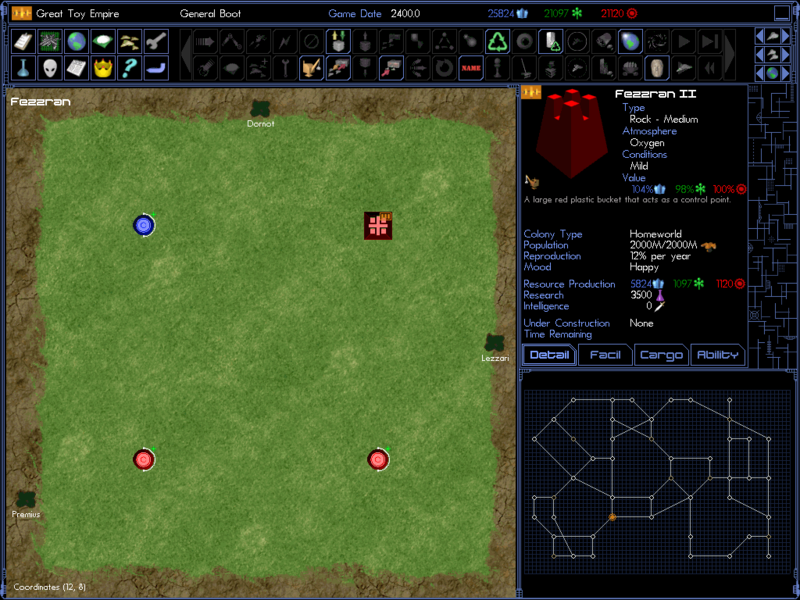 The idea is that each backyard contains control points which you will aim to control. 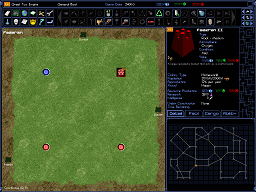 From these control points you build either Construction, Research or Fort points which you use to further expand your toy empire. Backyards are connected to ecah other by holes in fences and tunnels. There will be many types of backyards to explore, many which are randomly generated. You may even find your self in other out door locations away from homes. However far you expand and explore, you always must be on your guard, for there are other toy empires out there and not all of them will be friendly.